Double vinyl LP on the cult Crépuscule label in gatefold sleeve with fold-out insert (while the original idea was a cassette with b&w booklet). International in scope, the music covers post-punk, avant-garde, modern composition and solo piano, as well as guests from the Factory and Postcard label rosters. The spoken word componant includes Marguerite Duras, William S. Burroughs and Winston Tong. 31 tracks (including 8 bonus cuts), 120 minutes of music, readings and conversation. 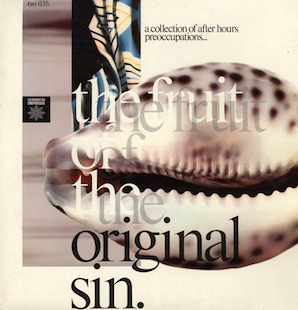 Later reissued in June 2007 on CD via LTM.